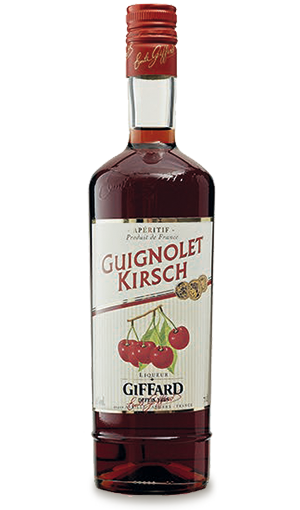 French aperitif made according to the traditional method of maceration of “griottes Montmorency” cherries in alcohol and darker and sweeter cherries to which was added a hint of kirsch. Ruby coloured with fine raspberry shades. Very fresh aroma thanks to the combination of different aromatic shades of sour and sweet cherries. Very pleasant mouth, slightly sweet. Fruity flavour of sweet cherries enhanced by the acidity of the Morello cherries and the hint of Kirsch. Pure, very fresh or on ice.